Welcome Back! We have reached a new decade, the 1940s. The 1940s was Disney’s year, occasionally other animated films and Propaganda films. We begin with Pinocchio. My family is from Italy and one of my Nona’s favorite movies, so as you can imagine Pinocchio was played a lot in my childhood. 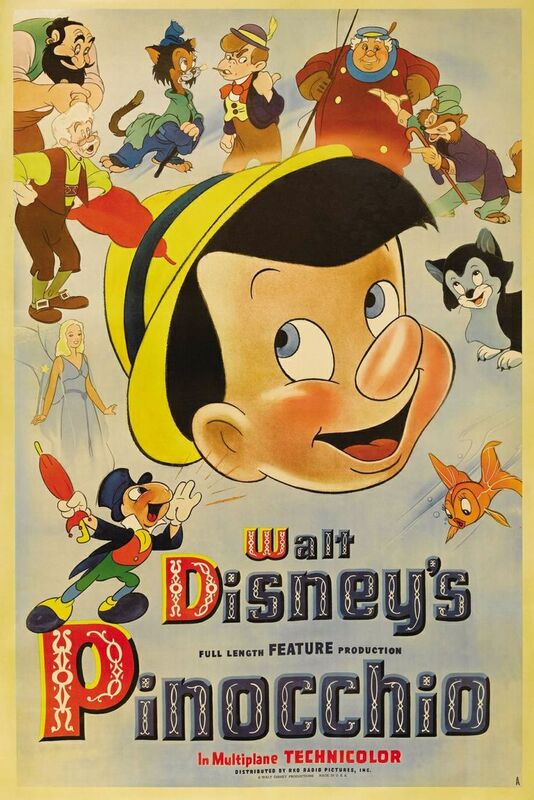 Pinocchio was made in February 7, 1940 by the Walt Disney Studio. It was distributed by RKO Pictures. It was Walt Disney’s second film. Pinocchio was the first animated film to win an Academy Award in the competitive category. 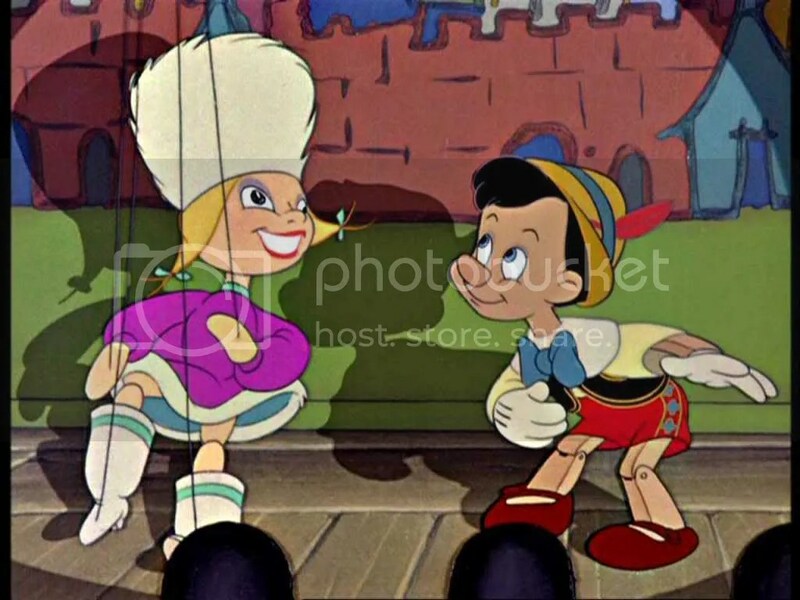 Pinocchio’s When You Wish Upon A Star is rated #7 in the 2004 American Film Institute’s List of the Top Movie List of the Top Movie Songs of all time, the highest ranking of any of the Disney-animated films. The first time that a film won the Academy Award for both its score and one of its songs; the next time this happened was in Mary Poppins. (1964) In 2008, Pinocchio ranked #2 on the American Film Institute‘s list of the 10 Greatest Films in Animation. Pinocchio is #8 of animated movies and #41 of all films for all time box office. The supervising directors were Ben Sharpsteen (Dumbo) and Hamilton Luske (basically almost all of Disney’s films until Mary Poppins). The sequence directors were Bill Roberts (Fantasia, Dumbo, Bambi), Norman Ferguson (Creation of Pluto, developed Peg-leg Pete and Big Bad Wolf, Prime Animator of The Queen’s Witch form, Peter Pan, Fantasia, Cinderella, Alice in Wonderland), Jack Kinney (Dumbo, Package Films, Shorts), Wilfred Jackson (Fantasia-Ave Maria/Night on Bald Mountain, Snow White, Cinderella, Lady and the Tramp, etc. ), and T. Hee (Fantasia- Dance of the Hours). The screenplay is by Ted Sears (Snow White-Sleeping Beauty, excluding package films), Otto Englander (Pinocchio, Dumbo), Webb Smith (Snow White, Dumbo, Saludos Amigos, Three Caballeros), William Cottrell (Snow White, Alice in Wonderland, Peter Pan, etc. ), Joseph Sabo, Erdman Penner (Sleeping Beauty, Peter Pan, Alice in Wonderland, etc. ), and Aurelius Battaglia (Dumbo, Fantasia- Pastoral Symphony, Dance of the Hours). 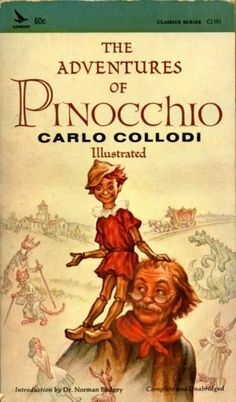 The film is based on the The Adventures of Pinocchio by Carlo Collodi. It was published in 1883 in Italy. It was a children’s novel, even though it doesn’t really seem like it. I’ve never read it, but I have heard some interesting things about it. There are many versions of literature, movies, stage plays, and so on of this book. The most famous being is Walt Disney’s Pinocchio. The book was originally written in Pescia, (an Italian city near Tuscany) but has been adapted in over 240 languages worldwide. This makes it the most translated and widely read book s ever written. In 1937, during Snow White, the animator Norman Ferguson brought the novel to Walt Disney’s attention. After reading the book, Walt Disney was very excited to do the film. Originally, it was going to be Walt’s third film after Bambi, but Bambi got held back. Since, Snow White was such a success; Walt Disney wanted more famous voices. This was the first time an animated film used celebrities as voice actors. Pinocchio went through many drastic changes. In the book, Pinocchio is a real jerk. The writers decided to depict him as Charlie McCarthy (Edgar Bergen’s Dummy), but make him rambunctious like the original Pinocchio. The early scenes show that Pinocchio’s design was exactly like a real puppet with a long nose. 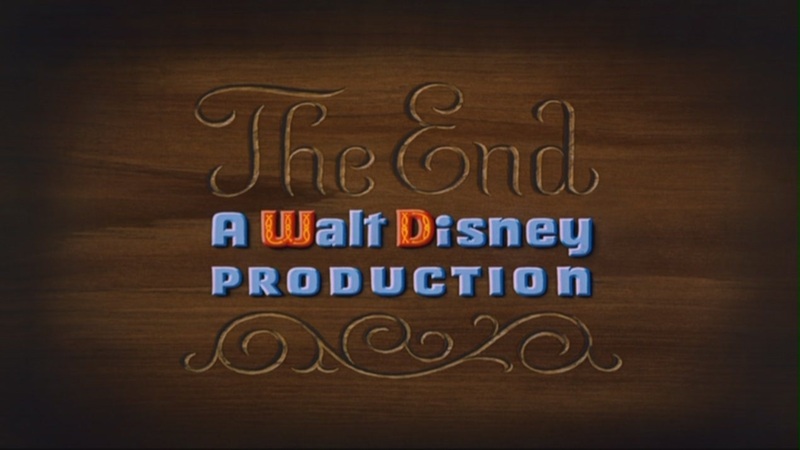 Walt Disney was unsatisfied, and called for a halt in production. Fred Moore redesigned it, but it still looked wooden. 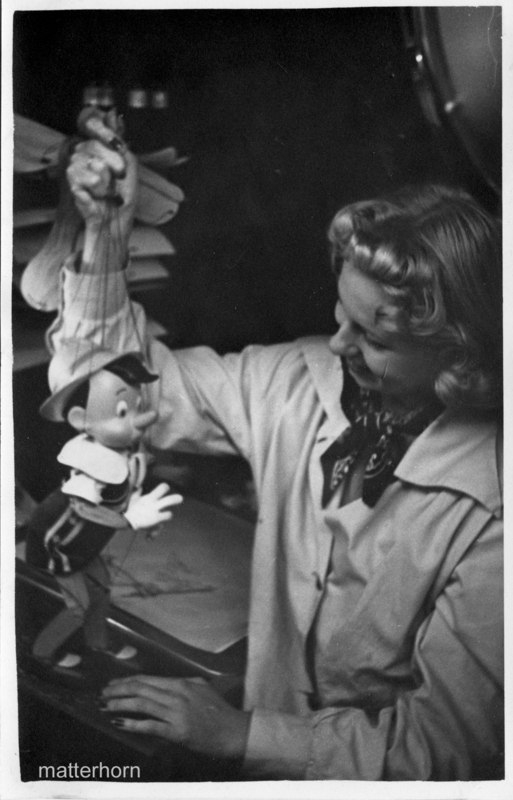 A young animator by the name of Mitt Kahl made Pinocchio less puppet like and more boy-like. 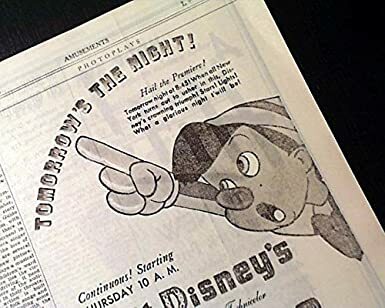 Walt Disney embraced Kahl’s design and urged the writers to evolve Pinocchio into more innocent and naïve. Disney found that Pinocchio was helpless and established the character of the cricket that originally Pinocchio smashes with a mallet. Originally, Jiminy was a realistic cricket with toothed legs and waving antennae, but Walt didn’t like it. Supervising animator of Jiminy Cricket, Ward Kimball, conjured up the design of Jiminy Cricket who looked nothing like a cricket. 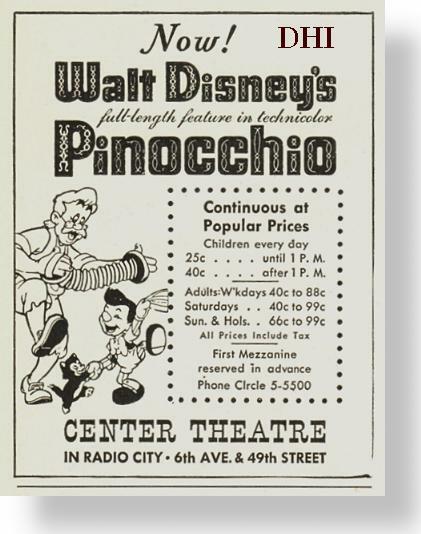 At first, Pinocchio was not a box office hit, because of World War 2. The film cost 2.289 million, and only made $1 million by late 1940. The studio’s report of the film’s original box office varies from 1.4 million to 1.9 million. In 1985, it was the first Disney animated film on VHS. In the mid-2000s, Pinocchio was supposed to have a sequel, but it was cancelled. On April 2015, Disney announced a live-action film based on Pinocchio. Walt showed less enthusiasm on working on Pinocchio than he did Snow White. He wanted to make two or more features every year. The story was split into sections. 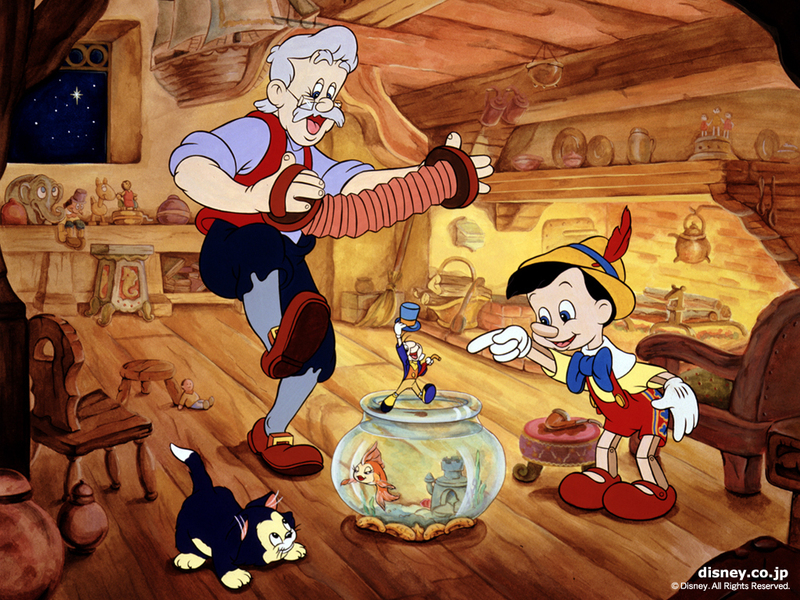 The first of scenes introducing Pinocchio, Geppetto, Figaro, and The Blue Fairy, was prepared in a scene by scene format. In early 1938, animation began. In February, Disney finally started showing interest, because of scenes with Monstro the whale. Animation started in September of 1938. 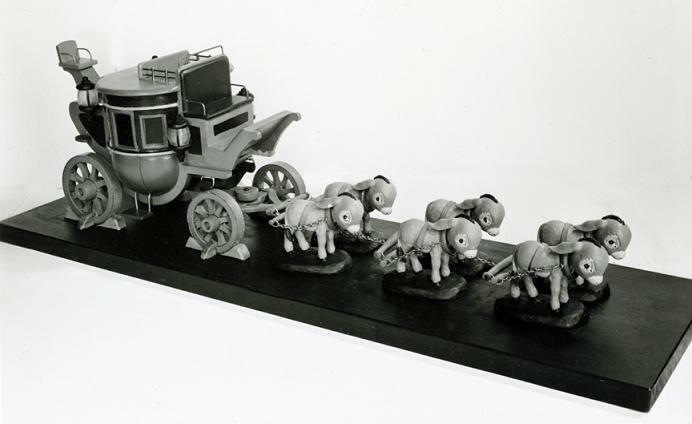 Joe Grant headed the character model department, which was responsible for building three-dimensional clay models of maquettes. They also built working models of Geppetto’s cuckoo clocks, Stromboli’s gypsy wagon, and the Coachman’s carriage. 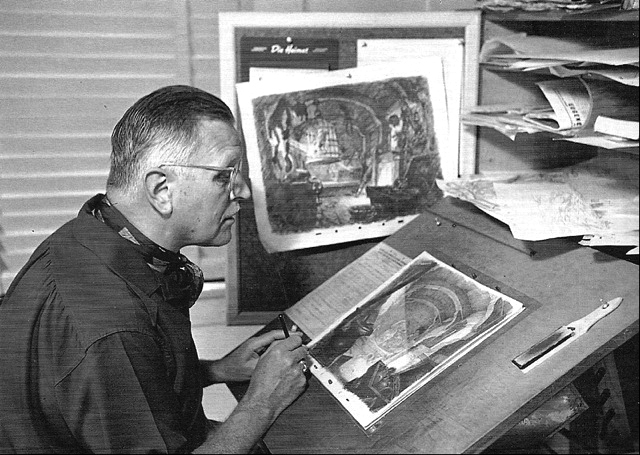 Albert Hurter designed the characters, locations, and objects in Pinocchio. His influence is especially noticed in Geppetto’s workshop; where almost every object is designed to resemble a face or creature of some sort. Models were constructed of every character. 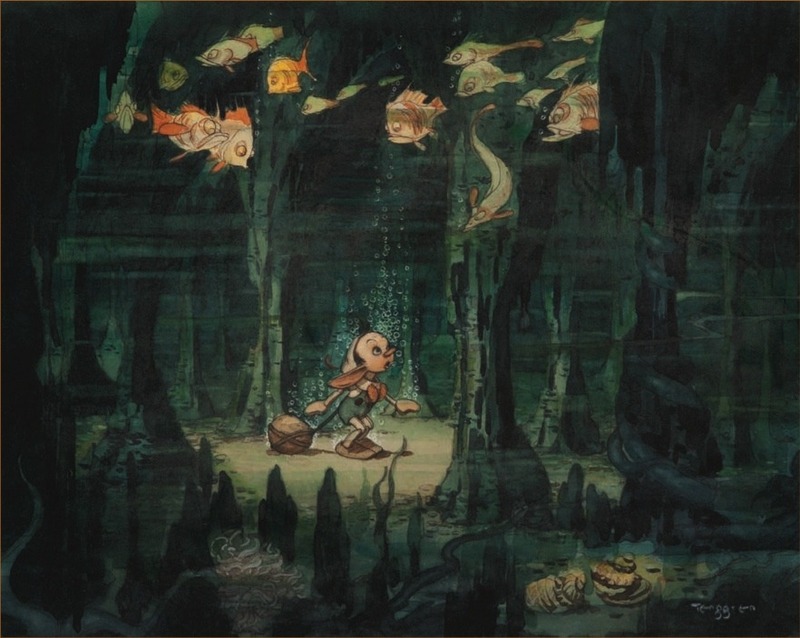 Many model sheets were also produced with designs for the fish Pinocchio encounters. The music is by Leigh Harline who scored Snow White and then scored Pinocchio. The film won his Academy Awards for Academy Award for Best Original Music and the song “When You Wish Upon A Star” won the Academy Award for Best Original Song. The music is also by Paul J. Smith who also won an Academy Award for Best Original Score. He was also in the orchestra in Fantasia. He has scored for many Disney movies, The Apple Dumpling Gang, The Apple Dumpling Gang Rides Again, The Shaggy D.A., and The Fox and the Hound. He has scored for Snow White, Bambi, Saludos Amigos, The Three Caballeros, Song of the South, Fun and Fancy Free, Melody Time, Cinderella, and numerous other movies. In 1994, he was awarded as a Disney Legend. The lyrics were by Ned Washington. He also wrote the lyrics to Baby Mine in Dumbo. The soundtrack was first released on February 9, 1940. When You Wish upon a Star became a major hit and is the theme song of the Walt Disney Company. The soundtrack won an Academy Award for Best Original Score. Cliff Edwards as Jiminy Cricket; He also voiced the head crow in Dumbo and sang When I see an elephant fly. In 2000, he received a Disney Legend for voice-acting. He was a very popular singer and actor. He played the voice of Jiminy Cricket for many Disney shorts and the Disney Christmas spectacular, along with Fun and Fancy Free. He made appearances on The Mickey Mouse Club. Dickie Jones as Pinocchio; in 2000, he was named one of the Disney Legends. In 2009, he performed promotional events for the Platinum edition of Pinocchio. Mel Blanc as Gideon/Figaro; Probably one of the most famous voice actors he’s voiced basically all of the Looney Tunes characters, Barney- Flintstones, Woody Woodpecker, voice effects for Tom and Jerry, etc. He was going to voice Dopey in Snow White, but that didn’t happen except the hiccup. Although, Gideon is silent, he originally isn’t and Mel Blanc voices him until everything gets deleted. He provided three hiccups for Gideon. He voiced Figaro’s sneeze. Walter Catlett as J. Worthington Foulfellow/Honest John; He played in Disney’s tv series Davy Crockett. Charles Judels as Stromboli and the Coachman. Evelyn Venable as The Blue Fairy; She was the voice and the model for the Blue Fairy. Thurl Ravenscroft as Monstro; He provided the whale sounds. Thurl has voiced Tony the Tiger, sang You’re A Mean One Mr. Grinch in 1966. He voices several Disney Park Attractions. In 1995, he was honored a Disney Legend. He’s a singer in Dumbo, Make Mine Music, Sleeping Beauty, Bedknobs and Broomsticks, Robin Hood, The Many Adventures of Winnie the Pooh, The Great Mouse Detective, The Little Mermaid, and Beauty and the Beast. He did the additional voices of Cinderella and a chorus singer of Peter Pan. He’s voiced Big Toot in Melody Time, Card Painter in Alice in Wonderland, Al the Alligator in Lady and the Tramp, Captain in 101 Dalmatians, Sir Bart in The Sword in the Stone, Hog/Andrew’s Whimper in Mary Poppins, Colonel Hathi’s crew in The Jungle Book, and Billy Boss in The Aristocats. He’s voiced many other movies and Disney shorts, along with the attractions. I’ve never read the book, but I have heard of a few differences. Jiminy Cricket dies in the beginning, because Pinocchio smashes him with a mallet. He then reappears as a ghost. Geppetto is arrested for disciplining Pinocchio, because others thought it was child abuse. Stromboli although he looked terrifying, was actually kind. A giant shark swallows Geppetto and then Pinocchio. Although, it is a children’s book, from the sounds of it I wouldn’t recommend it to children. It sounds terrifying. Figaro was Walt Disney’s favorite character. He replaced Minnie Mouse’s cocker spaniel with Figaro. It wasn’t until 9 months left of production that Jiminy Cricket was introduced. Two longer scenes were taken out. One was an extended sequence of Pleasure Island and the other telling Pinoccho of his grandfather, a pine tree. The film was one of the most expensive produced at the time. Originally, Foulfellow and Gideon were supposed to meet Pinocchio a third time and be arrested. The Blue Fairy was created using the Rotoscope technique. Honest John’s real name is given in promotional materials as J. Worthington Foulfellow, but is not named in the movie. Evelyn Venable was also the model for the Blue Fairy. John Musker and Ron Clements consulted Pinocchio on the underwater scenes to use for The Little Mermaid. Because of the war, the film was not released to Japan or Germany until the 1950s. The film had three deleted songs: Jiminy Cricket, Turn on the Old Music Box, and Three Cheers for Anything. Christian Rub was also the model for Geppetto. When Pinocchio sits on the chair at Pleasure Island, the chair is in the shape of a donkey. The film won the Academy Awards for Best Original Song and Best Original Score, the first Disney film to win. In 1994, Pinocchio was added to the National Film Registry. Terry Gilliam (filmmaker) selected it as one of the ten best animated films of all time. In 2005, Time named it one of the 100 best films in 80 years. In 2011, Time named it the best animated movie of All-Time Best Animated Movies. Critics Consensus: Ambitious, adventurous, and sometimes frightening, Pinocchio arguably represents the pinnacle of Disney’s collected works — it’s beautifully crafted and emotionally resonant. The only complaint that I could really find is some people find Pinocchio to be too dark, but personally I like Disney’s darker movies better than Disney’s “sweeter” films. If Pinocchio wasn’t so dark, I don’t think it would be so enjoyable. For example, although the villains don’t get punished in the movie, sometimes that happens in real life. It’s an important but sad lesson to learn. When Pinocchio smokes and drinks, and does bad things, he is punished for it. Showing that those things are bad, and children shouldn’t do it. Geppetto smokes a pipe, but that was pretty common then. The villains are the only one that smoke cigars and drink, and villains are bad. At most, one time I read that Jiminy Cricket is apparently racist. But, there was no reason as to why they thought he was and I’m not even sure how someone would come up with that conclusion. Aside, from that Pinocchio isn’t really a controversial film and doesn’t seem to have any complaints. Again, there is no official confirmed location. The location is most likely Italy. The original book is in Italy. Monstro is a sperm whale and they can be found in Italy. Italy is a very vast geographic region. Mountains are there. Marionettes are popular there. The villages appear to be Italian. The whole movie seems very Italian. Also, I have no idea on the timeline. My guess would be, maybe the 1930s. It seems very modern, or at least when it was made. So, an estimate would be: Pinocchio is set in Italy in the 1930s. Pinocchio- Animated by Milt Kahl, Frank Thomas, and Ollie Johnston. Pinocchio is a little wooden puppet who longs to be a real boy. He is very naïve, and wishes to be good, but makes a lot of bad decisions. He is very trusting. He eventually learns to be brave, honest, and unselfish. Pinocchio likes to dance and spend time with his father. 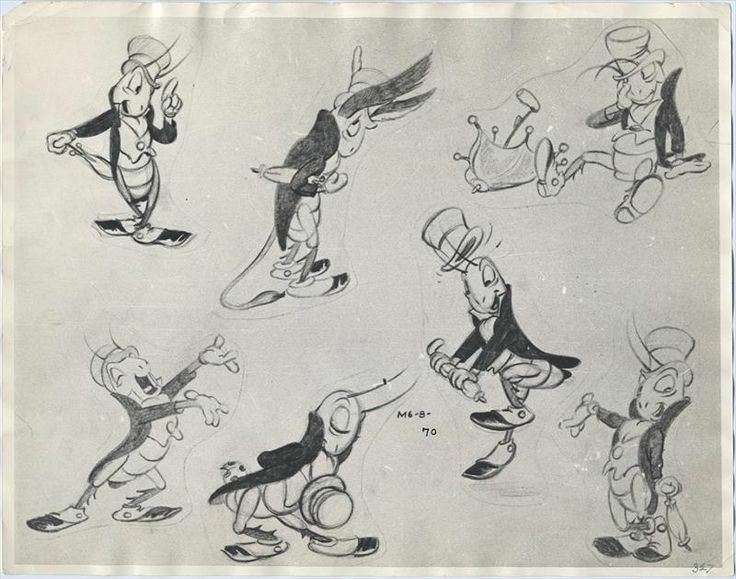 Jiminy Cricket- Animated by Ward Kimball. Jiminy Cricket is Pinocchio’s conscience. He is a cricket, even though he doesn’t look like a cricket. He follows Pinocchio around and tries to advise him on being good. He is wise and optimistic. He likes pretty women, whistling, and giving advice. Geppetto- Animated by Art Babbitt. Geppetto is the father of Pinocchio and is a woodcarver. He is a good man and The Blue Fairy grants his wish to have a son. He loves his pets and his son. He is loyal, loving, and very kind. He likes to sing, dance, and make toys. Figaro- Animated by Eric Larson. Figaro is an adorable black and white cat. 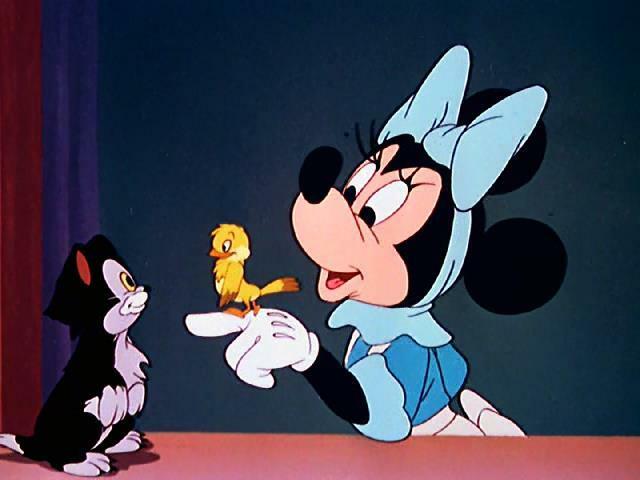 Figaro is one of Geppetto’s pets. He is very spoiled, but he has a “heart of gold.” He originally doesn’t like Cleo, but eventually likes her. He gets annoyed easily. He likes Pinocchio and Geppetto. Cleo- Animated by Eric Larson. Cleo is a goldfish. Cleo is another one of Geppetto’s pets. She likes to smile and twirl in the water. She is very affectionate and loves her owner, and Pinocchio. She also likes Figaro. She likes to be petted and to kiss Figaro. 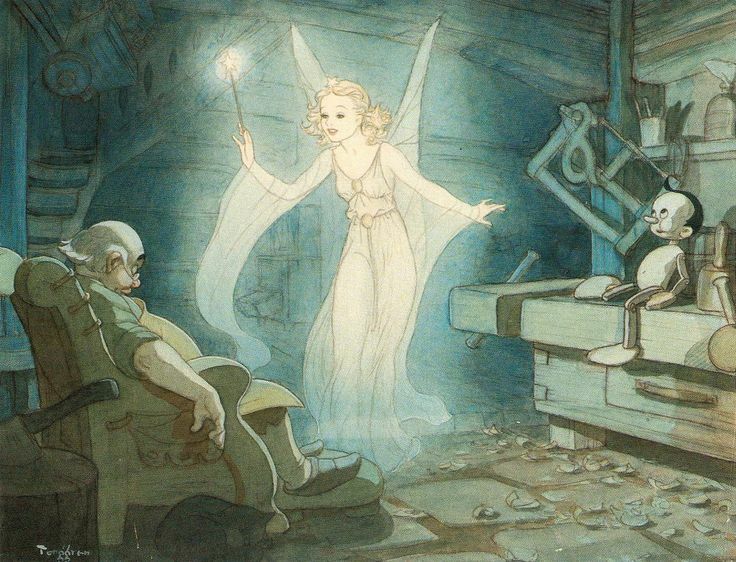 Blue Fairy- Animated by Jack Campbell. The Blue Fairy is a beautiful blond fairy dressed in blue. She grants the wishes of those that are good. She is very angelic-like and loving. She is wise. She likes good behavior. Honest John- Animated by Norm Furgeson. Honest John is one of the antagonists of the film. He is also known as J. Worthington Foulfellow, but is not called that in the movie. He is an anthropomorphic fox who tries to lead astray Pinocchio multiple times. He likes to make money. He is phony, devious, greedy, and sneaky. He likes money, drinking, smoking, and manipulating others. Gideon- Animated by Norm Furgeson. Gideon is another antagonist of the film and is Honest John’s henchman. He doesn’t talk. He isn’t very smart. He is an anthropomorphic cat who is very clumsy and silly. He likes to drink, smoke, and money. Stromboli- Animated by Bill Tytla. Stromboli is one of the antagonists of the film. He is puppeteer. He is very brutal, cruel, and vicious. He is very stingy, but not that intelligent. He likes money. Coachman- Animated by Charles August Nichols. The Coachman is another antagonist of Pinocchio and one of the scariest villains in Pinocchio. He is sadistic and enjoys others pain. He derives pleasure from torturing children. He is ruthless and greedy. He likes money and smoking. Lampwick- Animated by Fred Moore. He is a tough boy who becomes friends with Pinocchio. He laughs at authority, and enjoys drinking and vandalizing. He likes smoking and doing other bad things. At the end, he transforms into a donkey and his fate is unknown. Monstro- Animated by Wolfgang Reitherman. Monstro is a Sperm Whale. He is one of the antagonists in the film. He eats Geppetto, Figaro, and Cleo; eventually he eats Jiminy Cricket and Pinocchio. When they get away, he becomes very angry. He likes to eat and sleep. Minor Characters include Fish, Alexander, The Stupid Little Boys, and Coachman’s Minions. When You Wish Upon A Star: This song is Disney’s anthem. When You Wish Upon A Star shows that if you’re a good person, than good things will happen to you, all you have to do is believe. “When You Wish upon a Star, Makes No Difference Who You Are, Anything Your Heart Desires Will Come To You” It doesn’t matter who you are. Your dreams can come true. The song is very important to the story. Little Wooden Head: This song helps show the relationships between Geppetto and his pets, along with Pinocchio. It helps to show their family. 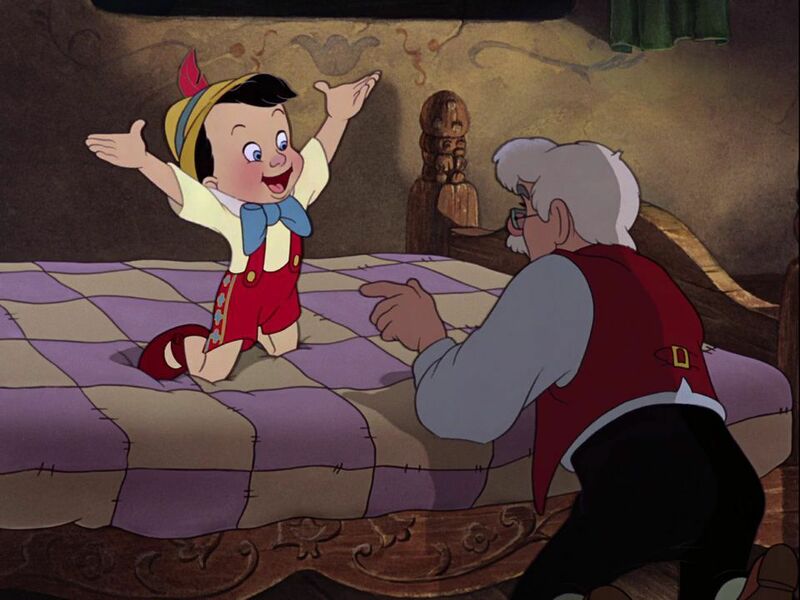 “Little Wooden Head go play your part, bring a little joy to every heart, little do you know and yet it’s true, that I’m mighty proud of you.” Geppetto doesn’t care that Pinocchio is a puppet or what he does. He will always love him and he makes him happy. Pinocchio is truly magnificent. The characters especially are the best part. Pinocchio kept his original spirit while being totally new and better for it. Geppetto is a naïve, but good man. Jiminy Cricket is exactly what you would think a conscience would be. Figaro and Cleo are great supporting characters. The Blue Fairy is angelic, and the Villains are fantastic too. Honest John and Gideon are sneaky and selfish. Stromboli is hilarious while menacing; while, the Coachman is absolutely terrifying. The songs are amazing. They’re all catchy, memorable, and help move the story along. When You Wish Upon A Star is literally Disney’s theme song and the embodiment of Disney. The animation is beautiful and breath-taking. The story is simple, but perfect the way it is. They’re some movies in the world that actually have nothing wrong with them. They are basically perfect, and Pinocchio happens to be one of them. I racked my brain over and over, but I can’t find any fault with this film. If there is anything that is perfect in this world, than Pinocchio would be it. I guess I have good taste, because I share the same favorite character as the creator Walt Disney, which is the adorable kitty, Figaro. Figaro is absolutely adorable. His reactions to everything are hilarious. Although, I own dogs, I absolutely love cats. Figaro is charming and funny. Disney could make a whole movie just about him and I would watch it. Well, my blog might be named When You Wish upon a Star, but it isn’t my favorite Pinocchio song; although, I do love that song. My favorite song from Pinocchio is sung by the little puppet, I’ve Got No Strings. There isn’t any particular reason why I like this song. I just find it very catchy, and I liked it when the other puppets sing. My favorite scene is the Little Wooden Head scene. Everyone is dancing and singing and truly happy. I just find the scene to be very sweet and charming. It makes me feel happy, and what better feeling is there than being happy. We have begun a new decade full of Disney Magic. We start off with another Disney movie, Fantasia. Fantasia is in my top 10 favorite Disney movies. So, I’m pretty excited to start this movie. Well, I hoped you enjoy. Thank you for reading and I bid you Adieu until next time. Love the detail you go in! I too love the movie and my fave character…I dunno…I love Jiminy Cricket, I love the Fox, I love the Coachman, I love a lot of people. And yeah, the book is a bit darker. There’s a scene where Pinocchio is hanged to death and the book was supposed to end there but then the author was compelled to continue the book with more chapters. It’s an interesting read. And yeah, Stromboli turned out to be kind in the end. Thank u 🙂 I only wish it didn’t take so much time lol, but I do like learning new information. Yes, all the characters are really great. It’s crazy how Disney takes such dark material and makes it into fairy tales that we all know and love. That sounds aweful though. I’m not sure I’d ever want to read the original book to be honest. While I like Disney going dark, I do have some huge problems with the movie going THAT dark, for two reasons. One: The only place in the whole movie which is somewhat safe is the hut with Gepetto. Everywhere else is a terrifying place where bad things happen to children. The good thing about is that a child who has watched Pinocchio will most likely NOT go with any stranger, no matter what. The bad thing is that said child will also be basically terrified of the world in general and might have a hard time to gain independence because of it. The other thing is that the message is kind of screwed up. All the “bad guys” in this movie get rewarded for their deeds and get away…for all we know the coachman is still busy turning stupid boys into donkeys who then die in the salt mine. But Gepetto ends up in a freaking whale as reward for caring for Pinocchio. All in all Pinocchio is a movie I respect (I might not like the darkness of it, but there is no denying that it is very effectively done, and the animation is just beautiful), but don’t like. It gave me nightmare when I was a child (honestly, who got the idea that this movie didn’t need any age restrictions?) and I honestly think that it scarred me for life because I am to this day afraid to even talk to strangers on my own volition, despite not really being a shy person in general. The quote I posted explained why they did that, even though it is a nice lesson. I do think it is pretty extreme. I do think it would be nice if at least 1 of the villains did get punished. I didn’t know that Pinocchio wasn’t age restricted? I do agree. Although, this movie for some reason never terrified me when I was little, it seems like its freaked everybody else out that has seen it, but I’m also weird lol. I think maybe 6 and up is ok. I’m not really sure what a good age would be to be honest lol. I am sorry that this movie terrified you so much though. I’m really shy anyways. So, I never go talk to people lol.